We are staying at the Hotel Senorial, where we have stayed regularly since we first visited Peru 15 years ago. 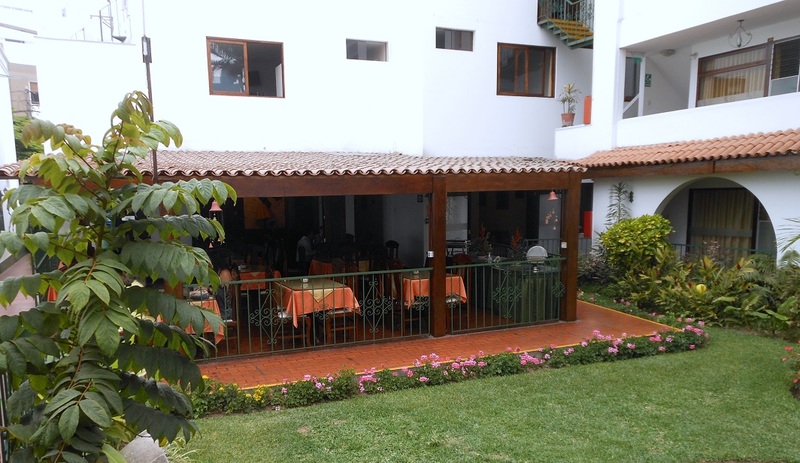 The best thing about the Senorial is the outdoor dining room where breakfast is served, and the attractive landscaping. The hotel has grown from fifteen rooms to more than fifty, losing its alpaca blankets and a lot of charm along the way. We stick with it because it has secure parking and friendly staff members, a few of whom have been here longer than we have. 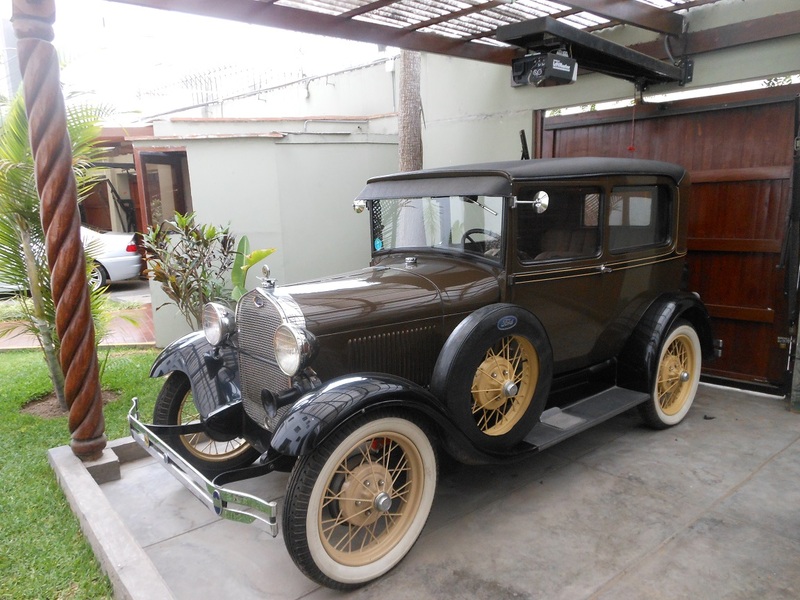 The owner parks his classic car outside our room. Weather report for Lima: High 74 deg F, low 67. Overcast from air pollution. Very nice! Please post comments about how warm it is so we can imagine it even more!